MANILA – School opening is just a week from now, the Department of Education (DepEd) has started its “Brigada Eskwela” where teachers, as well as parents and students, are mobilized to clean their respective schools in preparation for the coming school year. The DepEd had also announced their preparations on the implementation of the K to 12 program for grade one and grade seven students. However, perennial problems in the basic education system remain. The K to 12 program is a flagship program of President Benigno “Noynoy” S. Aquino III. With the implementation of the said program, the government aims to improve the quality of basic education in the country. “We have this new curriculum to be implemented, but shortages are not being addressed so the same problems would just occur this school year,” said France Castro, secretary general of the Alliance of Concerned Teachers (ACT) told Bulatlat.com. 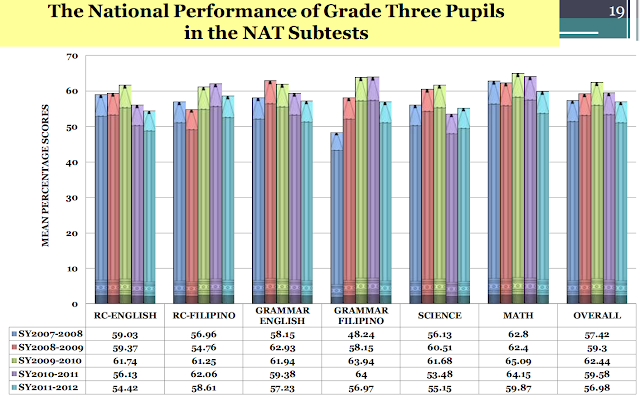 Data from DepEd still shows huge shortages in classrooms, text books, chairs and teachers. According to the latest figures of DepEd, the country still needs an additional 50,921 classrooms, 74,178 teachers, 123,196 toilets, 62.4 million textbooks and about 1.3 million classroom chairs. On the other hand, Anakbayan lamented, the “Brigada Eskwela” only underscores the government’s neglect of the education sector. “We see parents, teachers, and volunteers helping out to prepare the schools for the class opening. Most of the materials were donated by private institutions and individuals, yet, DepEd is admitting that a lot is still needed. 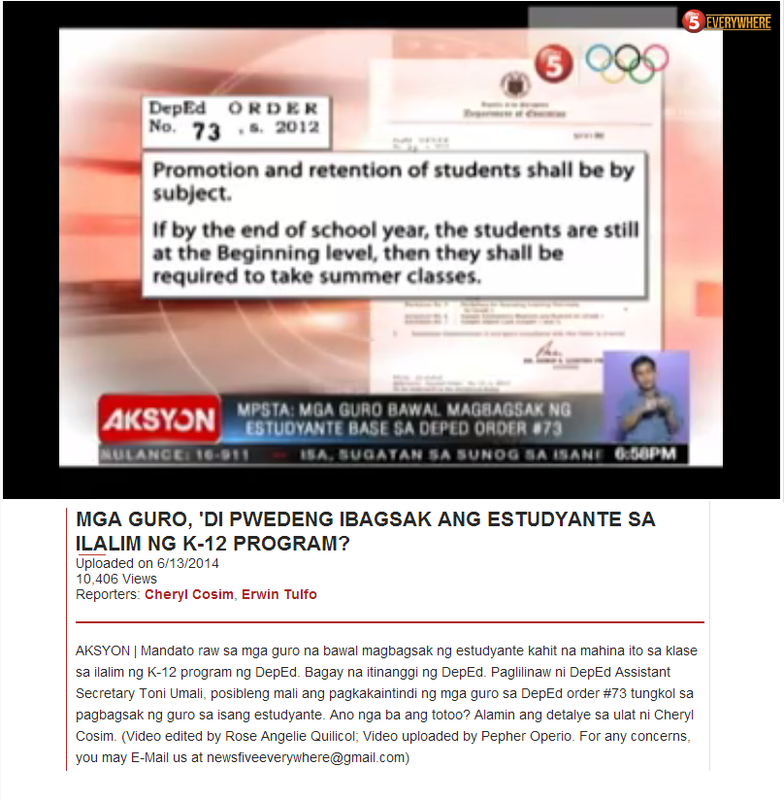 This clearly manifests that the government does not prioritize the education sector,” said Cherry Orendain, spokeswoman of Anakbayan-Davao. 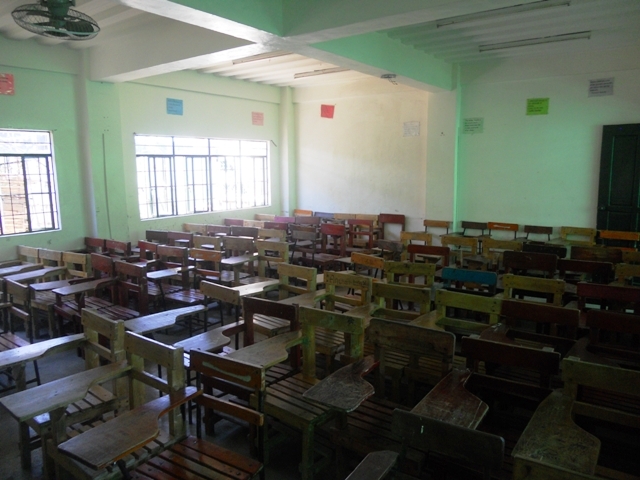 The Navotas National High School has more than 3,000 students who would be cramped in only 21 classrooms. “Our classroom size is smaller than the standard size of seven meters by nine meters. Last school year 2011 – 2012 our class size was 80 to 90 students. Some were forced to sit outside the classroom,” said high school teacher Regina E. Ramos, 49, who has been teaching for 23 years already. 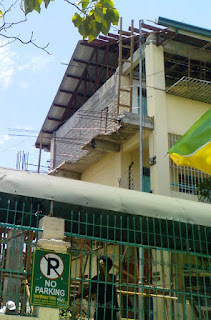 For school year 2012 -2013, Ramos said, their principal has thought of a scheme or what they call as an alternative delivery mode on how they will conduct their classes. This scheme, Ramos said, is aimed at not only accommodating the new enrollees but also to decongest their small classrooms. “We have a scheme called in-school, out-school where our class size of 90 will be divided into 45 per shift. And instead of coming to school every day, one shift of 45 students would hold classes every Monday, Wednesday, and Friday, and the other shift would have classes on Tuesdays and Thursdays. 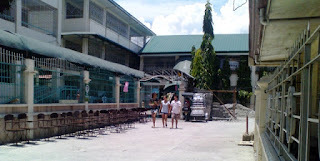 This was approved by the DepEd and the local government as well,” Ramos said in an interview with Bulatlat.com. Ramos further explained that those students who are not scheduled to go to school on particular days would be given home works. Classes will be held from 6:00 a.m. to 1:00 p.m. The subject MAPE (Music, Arts, Physical Education and Health) will be held once a week. This is the first time that Navotas National High School will implement such scheme, Ramos said. The number of students is increasing year by year; Ramos said they cannot refuse any student. In this way each student could have his or her own chair and teachers can closely monitor them, she added. Dante A. Verdera, 49 , who has been teaching for 22 years, said their school the Godofredo M. Tan Memorial School in Quezon Province is in the process of building makeshift classrooms to accommodate their students. “Our students number around 1,500. As of May 21, there are already 1,000 students who have enrolled, And yet some old students have not yet enrolled. More students will enroll a few days before classes open on June 4,” Verdera said. They are also suffering the same burden such as shortages in classrooms, teachers, books and chairs. He lamented that he handles at least 60 students per class. The standard ratio is one teacher per 35 students. Ramos criticized the under spending of the government fund for the education sector. She said the efforts of the government to reform and improve the education system in the Philippines are being defeated for as long as the shortages are not addressed. “The government has spent money in many projects. I just can’t understand why they can’t hire more teachers and give the salary grade 15 that the teachers have long been calling for,” Ramos said. The education sector has the highest priority in the national budget, the government claims. However, the approved 2012 national budget revealed that debt servicing got the highest allocation of P738.6 billion ($17 billion) while defense got P113.1 billion ($2.5 billion). Social services got P575.8 billion ($13 billion) or 31.7 percent of the entire General Appropriations Act (GAA), mainly for implementing dole-out programs such as the Conditional Cash Transfer program, the flagship program of Benigno “Noynoy” S. Aquino III administration. The DepEd figures on shortages are glaring; progressive youth group Anakbayan expressed dismay over the same problems that would greet them this coming school opening. “The Department of Education has said it themselves that we still lack classrooms and teachers. With the upcoming implementation of the K to 12 program, the same burden will greet parents, teachers, and students during the opening of classes,” Orendain said. Teachers do also agree that the change in the curriculum is not an assurance of quality education. Castro said the curriculum changes almost every time we have a new president, but the quality of education continues to deteriorate. Ramos cited the curriculums implemented before such as the Secondary Education Development, the Basic Education Curriculum, which later on became the Revised Basic Education Curriculum and now the K to 12 curriculum. College Admissions: What Really Matters? What can a scientist do?